Photography and photo editing tips, inspiration and out of this world Photoshop Actions. Here is a little checklist to follow with some tips while getting your new Timeline for business pages ready. 1. Upload your new cover photo. 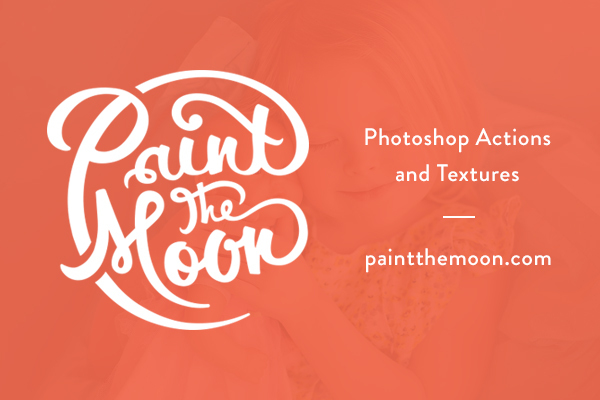 Haven’t grabbed your FREE Paint the Moon Facebook Timeline Cover Templates yet? What are you waiting for … get them here while they are available as a sampler preview for a limited time! You can use the blank “Make Your Own Template” if you wish to create yours from scratch. Be sure to read Facebook’s guidelines for cover photos to be certain you are following all the rules before posting. 2. Upload a profile photo, preferably your logo or something clearly associate with your brand. It should be simple, clean and something that stays consistent (your cover photo is the place to get “crazy” and creative when you want to switch things up). 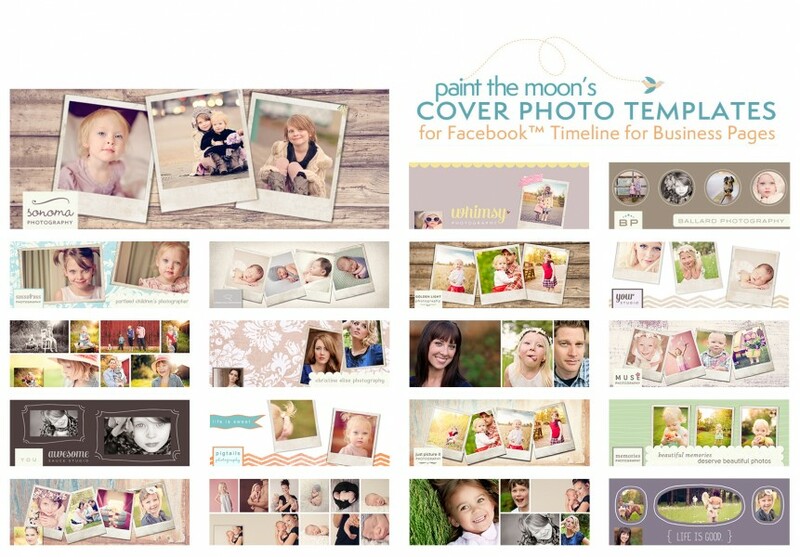 Profile images are perfectly square at 180 pixels – there is a profile photo template included with the Paint the Moon Cover Templates (you may easily change the background color as you wish). Remember that your profile image is the avatar for your business everywhere you go on Facebook – it’s seen in news feeds, ads, next to your comments and all your “stories” (in a very tiny 32 pixels square – so keep it clean and powerful). 3. Select which apps and views you’d like to appear in your apps area and arrange them as you desire. The top three apps should be the most important to your business as they will be “above the fold,” with the remainder accessible by clicking the arrow to the drop down menu. 4. Think about a plan to post daily to your page to keep your fans engaged as well as pinning a post that is most important to the top of your page every week. Be authentic, helpful, honest and kind … a little bit of humor and beauty mixed in there goes a long way too. 5. Take advantage of the new Admin Panel to monitor your Page Insights, new activity and always be timely in responding to your personal messages if you choose to have this feature turned on. 6. Add events and milestones to your Timeline to flesh it out, tell your company’s back story and create a visually interesting appealing Timeline. Also take a moment to go through photo albums and delete any past photos that you aren’t incredibly proud of. Look at the past posts and content and decide if they are building the impression you want people to have of your company. If not, delete and clean things up. You can also add past photos to your album and date them appropriately to show up on your Timeline in the correct spot,. 7. Good news for us photographers is that research shows that photos posted generate twice as much engagement versus all other types of posts. 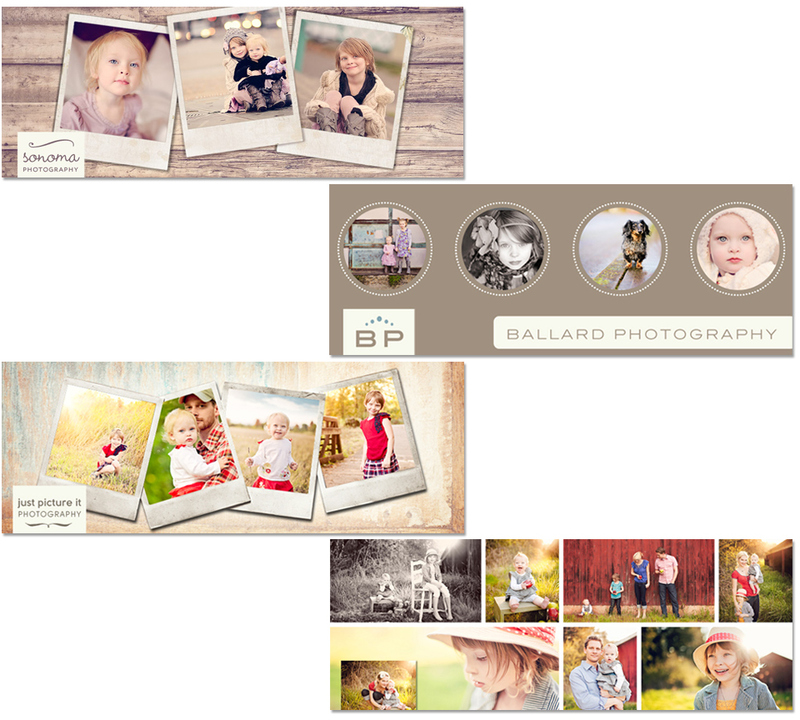 Keep your page visually appealing … even more important for the photo industry. 8. Check to see that your most important posts are checked to be “Allowed on Timeline.” You can do this from your Activity Log. Not just your own posts, but posts from fans as well … highlight glowing reviews and feedback, etc. Can we use these on our website for a splash page? These are awesome! These are amazing, I can’t wait until my little one naps and I can use them, thanks Annie! Thank you, Annie!! Love the timelines! And, love your new page with timeline, it looks awesome!! These are amazing! Thanks so much for all your hard work! So we have to have4 photoshop or elements to use? Awesome stuff, the guide is going to be my coffee break reading material today! Thanks Annie! Where do you get all those great apps for facebook? This is a wonderful post…Facebook should thank you! I appreciate all the time it must have taken you…thank you, thank you! I have tried over and over, when it says to click to download I do, then it takes me back a page. How do I access? Thank you so much for the free templates. I do have one question. When I add my images to your templates, I use the free transform tool to get them the right size. It looks good on my computer but still looks really grainy when I upload the cover photo to facebook. Any ideas on sizing photos to use with your cover templates? thanks so much. i have downloaded some of ur old fan freebies. and im happy with them. just one question though, i noticed that some of the posts u got (status messages or pictures) get a full spread. how is this done? is this only for business pages only? When I click download, I get a message that says invalid picture? The designs are great I will use them for my Ethiopian traditional clothing fanpage. Very good for family time line cover design. Very good option for babies, especially for new born babies.